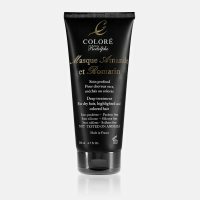 Revitalizing and protective shampoo for colored or highlighted hair. 6.7 fl.oz. Le Pur Lumière is a shampoo specifically created for chemical treated hair or highlights that strengthens the regenerating abilities for radiant beauty hair by giving it even more texture and shine. 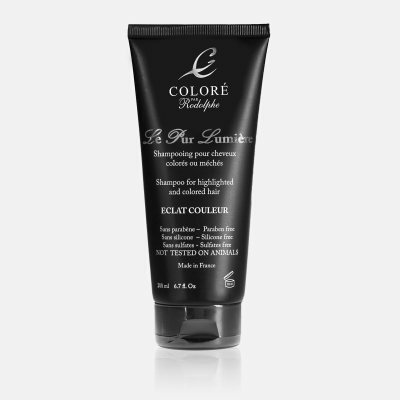 This shampoo beautifies, nourishes, revitalizes and protects colored or discolored hair. Massage for two minutes for even more benefits. - apply and massage scalp gradually adding warm water to allow the product to foam. - massage scalp for 2 minutes. - For an even more shiny hair add a few drops of white vinegar toward the end of your rinsing. - use with MASQUE AMANDE ET ROMARIN.